Submission to Felonious Fauna 2k19! 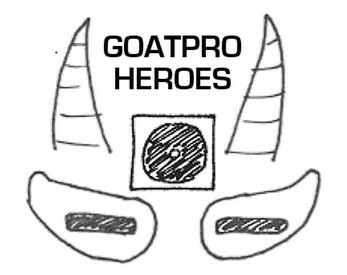 You are goats wearing Gopros. Your mission is to freeclimb tall buildings and stream death-defying rooftop stunts to your fans on YouTube. The fat cat building owners aren’t fans. They don’t want anyone enjoying their private property who’s not paying rent. But who are they to tell you where you can and can't go? Written for Felonious Fauna #FF2k19. Inspired in part by this WIRED article about London rooftoppers. Fun fact: trespassing isn't technically a crime, it's a civil offence! So technically this game is trespassing in this game jam!